If you are kennel owner or a doggy day care centre you will know how important it is to exercise the dogs in your care, however finding the perfect all year round surface where the dogs can run and play can be difficult. The area becomes unusable in wet weather due to mud. It will not withstand regular rough and tumble play particular with larger dogs. Urine can leave yellow patches. Its high maintenance – the grass needs cutting regular and damaged areas need repairing. A badly managed grass area, can look unsightly to customers visiting the premises. Artificial grass has been around for many years, however its popularity has increased since more businesses including: Kennel Owners, doggy day care centres, agility training centres, dog run areas, dog show events and other pet friendly environments are realising the benefits of the fake grass. Why chose artificial grass for dogs? 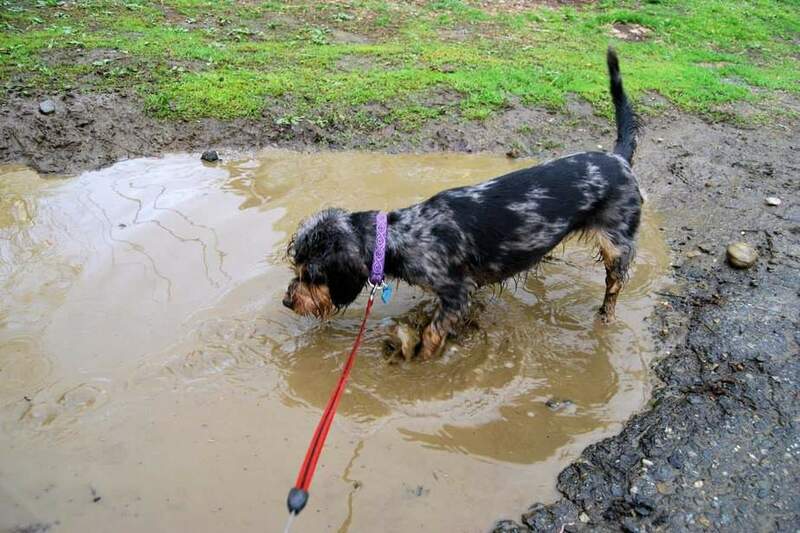 No Muddy paws – Perhaps the most important benefit of all. It’s soft and kind to dogs paws. Dogs are happy to sit or run on the grass. It’s durable – even for the biggest, energetic dog or high traffic doggy areas. Looks appealing to paying customers. It all depends on the dog friendly area you want to cover. Artificial grass is more expensive than natural grass therefore it is an investment in your business. At G Jones Artificial Grass we do offer a wide range of grasses at different prices all of which are suitable for dogs and pet friendly environments. For Kennels and other high traffic dog areas, we would recommend choosing a higher quality grass and a short pile grass (short pile grasses are easier to clean up dog mess). Does the artificial grass installed have a warranty? All of our grasses come with a manufactory UV warranty up to 10 years depending on the grass chosen. Additionally, if you select from our Namgrass range you have the extra reassurance that the integrity of the grass is also included within the warranty, subject to terms and conditions. How do you clean artificial grass used by dogs? Unlike real grass our fake grass for dogs is incredible easy to wash and clean. The design of the grass allows pet urine to drain through the grass and will not cause any damage to the grass fibres or the backing of the grass. The grass colour will also not be affected by the dog’s urine. You will never see any yellow, brown or burnt patches of grass. Any solid mess should be picked up straight away and disposed of in the normal manner. Any residual left behind can be hosed down with water. Specialist cleaning products are available to buy from other suppliers, however can be expensive, warm soapy water is normally sufficient along with a stiff brush. For kennels and high traffic dog areas, during warm weather months we would recommend hosing the grass with water regular, this will prevent any urine smells. During wet weather this is not needed since the rain will clean / wash the grass for you. Is artificial grass safe for dogs? All of our artificial grasses are safe for dogs and pets. The fibres that make up the grass are non-toxic although we do not recommend they eat it!! So if you are looking for a surface that is suitable for dogs and pets with the added benefit of being mud free, easy to clean and can be enjoyed all the year round, then artificial grass is for you. Should you require any further information about artificial grass for dogs, please feel free to contact us.